This is going to sour a lot of Gingerbread. J.D. 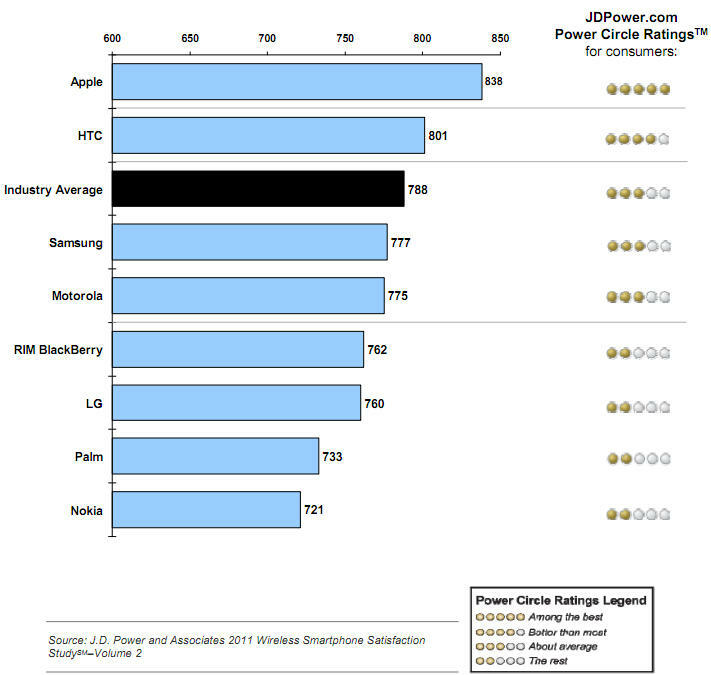 Power and Associates announced today the winner of its Wireless Smartphone Customer Satisfaction Study, and the victor hails from a little town called Cupertino. For the sixth consecutive time – the survey is held twice a year – the iPhone triumphed over Samsung and RIM, scoring a whopping 838 points out of 850 with HTC falling in second place with 801 points. Samsung lagged behind with 777 points while Motorola gave it a run for its money with 775. Poor RIM fell in at 762 points while LG, Palm and Nokia filled the bottom slots of the graph. My favorite part of this whole deal is that Apple releases one phone a year while HTC and Samsung seem to crank one out every week. Yet, who remains the victor here? Aside from accelerated hardware and higher quality LCD screens, I was disappointed to find that consumers still favored cameras with more megapixels. When will people learn that megapixels don’t make a camera!? Regardless, the iPhone 4 has a modest 5-megapixel shooter and it’s still the top banana. 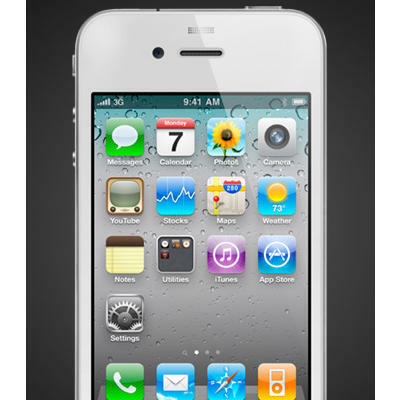 That’s partly because the report says that 5-megapixel camera phones scored nearly as high as 8-megapixel phones. This study was conducted with the following emphases on particular portions of a smartphone: performance (35%); ease of operation (24%); features (21%); and physical design (20%). 6,898 smartphone owners were used to conduct the study, and for the 6th time in a row Apple prevailed. What do the Android fanboys have to say to that?